June 19, 2017 -- Peek into the typical American household after dinner and you’ll find the occupants bathed in a faint bluish glow. As parents fire off late emails on their laptops or lie in bed with eyes fixed on e-readers, kids update their Snapchat accounts or squeeze in one last game on their phones. Even if the gadgets are off, new eco-friendly street lamps, TVs, and household bulbs shine into the night, emitting a brighter, shorter-wavelength (more bluish), and more potent light than older incandescent bulbs did. Czeisler is among a growing number of physicians, researchers, and health policy makers sounding the alarm that dark nights -- like a healthy diet, regular exercise, and good sleep habits -- are a key, endangered ingredient for long-term health. Sleep issues aside, light at night is now being accused of helping fuel weight gain and metabolic diseases. Studies show that people exposed to more bright light at night are hungrier and produce less insulin, making it harder for them to turn those late-night snacks into fuel. As a result, it rests in the blood, where it makes diabetes more likely, or it's stored as fat. Animal studies at Ohio State University show that even exposure to relatively dim light -- about the brightness of a child’s nightlight 3 feet from the eyes -- over 8 weeks has a measurable impact on the brain. It raises inflammation and lowers levels of a hormone that's key for promoting new brain cell growth. It also causes transmitters between neurons to whither. 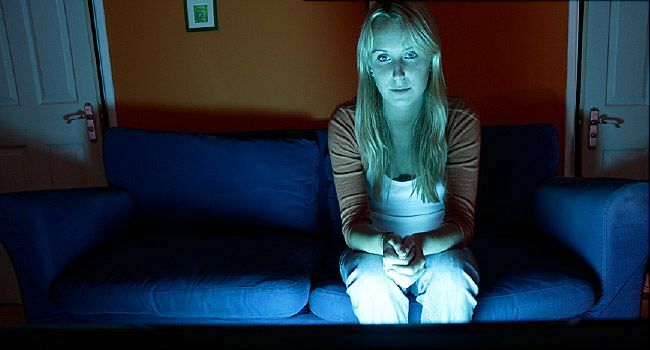 Mariana Figueiro, PhD, light and health program director at the Lighting Research Center in Troy, NY, stresses that in addition to minimizing bright blue-hued light -- especially from gadgets held close to the eyes -- at night, we should try to maximize the amount of bright light we get during the day. Stevens says that beyond the 7 to 8 hours of sleep you try to get each night, you should make an effort to get 3 more hours of relative darkness. You don't need to live by candlelight after dinner, but it’s a good idea to dim the lights and steer clear of bright blue screens. Replace the lights in your bedroom and bathroom with dimmer, longer-wavelength lights, consider using blackout shades if streetlights shine into your window, and invest in an eye mask for when it’s time to go to sleep. Get plenty of natural light by day: Take a walk outside in the morning. At the office, put your desk near a window. Invest in a bright light -- one that delivers 1,000 lux (a measure of light intensity) or more of blue-hued light at eye level -- to put on your desk at work. Studies show that most office environments are too dim to stimulate the positive, alerting effects of light by day. Charles Czeisler, PhD, MD, chief, Division of Sleep and Circadian Disorders, Brigham and Women’s Hospital, Boston. Randy Nelson, PhD, chairman, department of neuroscience, Ohio State University. National Toxicology Program workshop: "Shift Work at Night, Artificial Light at Night, and Circadian Disruption." NASA website: "Testing Solid State Lighting Countermeasures to Improve Circadian Adaptation, Sleep, and Performance During High Fidelity Analog and Flight Studies for the International Space Station (Lighting Effects)." Richard Stevens, PhD, professor, University of Connecticut School of Medicine. Chang, A.M. PNAS, November 2014. Figueiro M.G. Lighting Research and Technology, May 5, 2015. Cheung, I. PLOSOne, May 2016. Reid, K. PLOS One, April 2014. Rybnikova, N.A. International Journal of Obesity, January 2016. Nelson. Molecular Psychiatry. August 2014. Maltese, F. Intensive Care Medicine, March 2016. David Blask, MD, associate director, Tulane University Center for Circadian Biology. Schernhammer, E. American Journal of Preventive Medicine, March 2015. Mariana Figueiro, PhD, light and health program director, Lighting Research Center, Troy, NY. Phyllis Zee, MD, PhD, chief of sleep medicine, department of neurology, Northwestern University. Wright, K. Current Biology, February 2017.